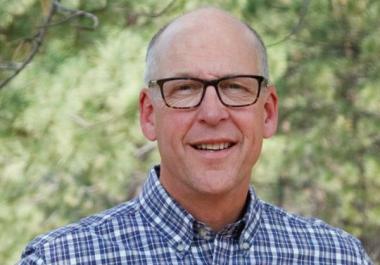 BEND, OR -- With the Government Shutdown now in Day 24, Congressman Greg Walden (R-OR) says his colleagues have taken sides. He believes most Americans understand the country's immigration system and border security need fixing, but no one in the U.S. House is compromising, right now. "What's happening down there [on the southern border], in many ways, is pretty inhumane and cruel. We need to fix this problem, and it's unfortunate that the sides can't come together." Walden tells KBND News he's frustrated because border security is important, but that's not helping people in District Two who are employed by the federal government or otherwise affected by the shutdown, "This is having real life consequences, and I wish the big players would figure a way through this." As the shutdown drags on, he said it will make it more difficult for furloughed employees to catch up on their work once they are back on the job. Walden has asked for his own pay to be withheld in solidarity with federal employees who are currently furloughed, "I wish Speaker Pelosi and Leader Schumer would negotiate in better faith than they have been, frankly. The President has presented multiple alternatives to them, and they've just told him 'No,' and no doesn't get you very far in a negotiation." He says he wants the government to reopen, but that doesn't mean he's not in favor of increased border security, "We should fund enhanced border security. We have a problem at the border; it's a crisis, and we need to deal with it for humanitarian purposes, and for national security purposes." Now in the minority party, Walden is confident the good working, bipartisan relationships he's built over time will continue, "Obviously, there's a new party in town in the majority in the House and they have a different agenda in some areas, but in a lot of areas I think we'll find common ground and get things done for the country." That is, once the government reopens for business.